Wyndham's population is booming, but the Victorian Government isn't building schools quickly enough. We need new primary and secondary schools to be funded and constructed ASAP. Let's give our schoolkids the best chance to thrive. Wyndham needs six new primary schools and two new secondary schools by 2023. How schools numbers in our growth areas compare to the rest of Melbourne. We need well-planned, properly-designed schools that serve as a focal point for local communities. Find out about practical things you can do to help get Wyndham the schools we need. Getting involved is easy. All you need to do is sign up for news and updates about #schools4wyndham. Let's make Wyndham heard. a secondary school is needed in Tarneit by 2023. These schools are on top of those announced in the 2018/2019 Victorian Budget. Our community is already larger than Geelong’s and not enough schools are being built to meet demand. Many children are attending overcrowded campuses with 2000 or more students. Others face long commutes in heavy traffic to attend school in neighbouring municipalities. Our population is continuing to rise and unless something is done, Wyndham’s families will continue to experience poorer-than-average school access. The Victorian Government is funding new schools and upgrades to existing schools across Melbourne. Many existing schools are seeking upgrades to provide for more students and improve facilities. In Tarneit the Victorian Government funded a new $10 million unit to accommodate additional students in years 7 to 9. Find out more about Wyndham’s primary and secondary education needs by checking out the education section of Securing Wyndham’s Future. Don’t forget to join our campaign! We need your support! All you need to do is sign up. We'll keep you posted with the lastest news and events about #schools4wyndham. Check out the below graphs to find out how school access in Wyndham compares with the rest of Melbourne. 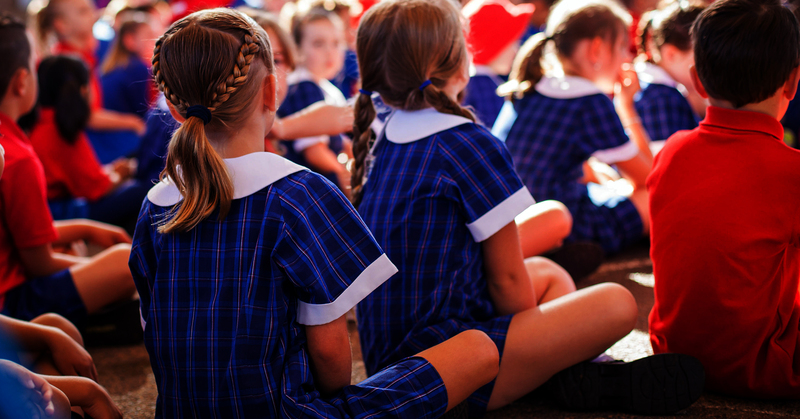 On average, children in Wyndham’s growth areas have half the number of primary schools compared to Greater Melbourne. And we're home to some of the most overcrowded schools in Victoria. We're also about to experience an explosion in the number of children who are secondary school age. Local schools are essential pieces of community infrastructure that encourage healthy families and close-knit communities. An estimated 150,000 kids will attend school in Wyndham over the coming 20 years. Their long-term wellbeing depends on us getting this right. Our schools serve our communities even better when they’re integrated with community infrastructure – like childcare centres, sporting facilities and health services. When this happens, schools become a vibrant focal point for local families. They help ease the transition from early childhood to prep, and co-located services provide convenient access for busy parents. But for this to happen, schools need to be co-planned with local governments like Wyndham City. We want the Victorian Government to let us help them create amazing schools that are ready to go when our burgeoning community needs them. What’s more, the Victorian Auditor General agrees. VAGO recommended that the Victorian Government works more closely with local governments when it comes to planning and designing education infrastructure. Wyndham City supports this and stands ready to make it happen. When the nearest school isn’t within a short walk or ride, many children end up spending more time than necessary commuting. On congested roads in Wyndham’s growth areas, car trips that should take 15 minutes can end up taking twice or even three times as long. Long commutes eat into family and leisure time and create unnecessary time pressures for busy parents with work commitments. Walking or riding to school also has significant health benefits. Australian children are among the most chauffeured in the world, according to the Heart Foundation. [i] The number of children who walk or ride to school has dropped by more than 40% since 1971. In Melbourne, an estimated 74% of children are driven to school. Meanwhile, many children are not getting the recommended amount of daily exercise. Research shows that incidental exercise – like riding or walking to school – is a key to fixing this. Wyndham’s families need more local schools within a short walk or ride of their homes. We'd love to keep you posted with news and updates about #schools4wyndham. All you need to do is sign up and we'll do the rest. You can make a difference for our future. Together, we can secure more and better-planned schools for Wyndham. Share the campaign Facebook page and our latest Facebook posts with your friends. Encourage your friends to join the Schools4Wyndham email list. It's a great way to get involved and get the latest campaign news. The more people join, the greater our chances of success!